Tom Dumoulin has won his first World Individual Time Trial. The Dutch cyclist crossed the finish line almost a minute ahead of his closest contender after a the 31-kilometre course in Bergen, Norway. 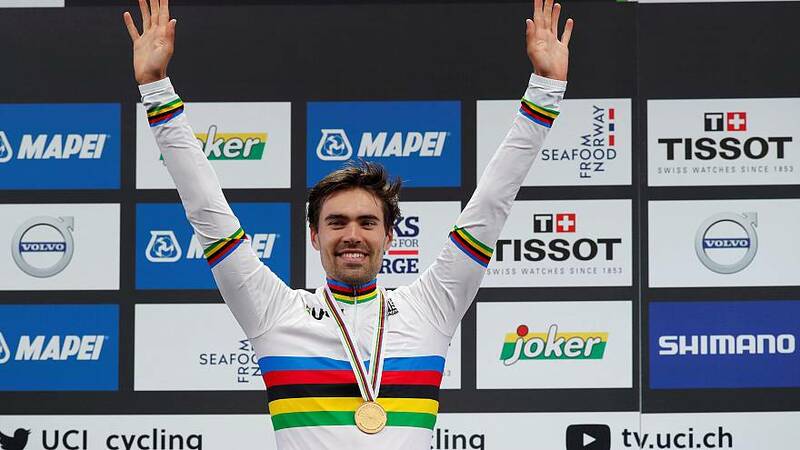 Dumoulin, the silver medallist at the Rio Olympics time trial and this year’s Giro d’Italia winner, adds the individual gold medal to his team win with Sunweb over the weekend. Slovenian rider Primoz Roglic came in second, while this year’s Tour de France and Tour of Spain winner Chris Froome finished third. The Briton may not have rounded off the season with a win, but he did beat defending champion German Tony Martin, who finished ninth after losing ground in the three-kilometre closing climb. The Mount Fløyen ascent had an average gradient of more than nine percent.